We catch up for a quick chat with Katoomba Chiropractic Centre principal clinician Dr Nigel Stafford to find out what led him to become a healthcare professional. What inspired you to study chiropractic? Coming from a sports science and general athletic background is what first led me to chiropractic. I didn't present to a clinic with any particular ailment, more just a general interest in how it might be possible to optimise my body’s potential. The premise of a well-supported and functioning nervous system via good spinal alignment and biomechanics made complete sense to me. Once I started getting adjustments I felt better in my posture and alignment, which transferred into improvements in my gait, breathing, sleeping and general feeling of wellbeing. In short, it is helping people and seeing a smile on their face again. Unfortunately, a lot of people come to chiropractic as a last resort—in many instances after years of pain and suffering—but to see the joie de vie return to someone’s face after spinal health has been restored is a special moment for patient and practitioner. And that it was completed without drugs or surgery provides a great example of the power of restoration that lies within the body. It brings a confirmation of your beliefs in chiropractic and a great deal of happiness that you played an important part in someones life positivity. What is your philosophy in regards to treatment? My philosophy is to try and unpack the most successful way chiropractic may help someone. No two bodies are the same, and to find the right chiropractic technique, of which there are many, can be a great challenge. Some people respond favourably to manual adjustments, others to mechanically assisted adjustments or even cranial work. The ability to recognise the job before you and determine if it is one that chiropractic may assist with, and then lay out an appropriate plan of care for someone, is my approach. Sometimes chiropractic isn’t the answer, and if so, then I’ll refer on to the relevant healthcare practitioner. Educating my patient base is also a big part of my chiropractic philosophy. It’s empowering to know the how-and-why of peak body performance. How does the chiropractic experience differ from other health care methods? It’s healthcare provided without drugs or surgery. Generally, the only intervention is a spinal adjustment implemented using a practitioner’s hands. It’s elegant in its simplicity and powerful in its effectiveness. How does your own life and lifestyle impact on your approach to the services you provide? I remain committed to providing my body with its best potential for optimal health, not only through chiropractic but in exercise, diet and mindfulness as well. 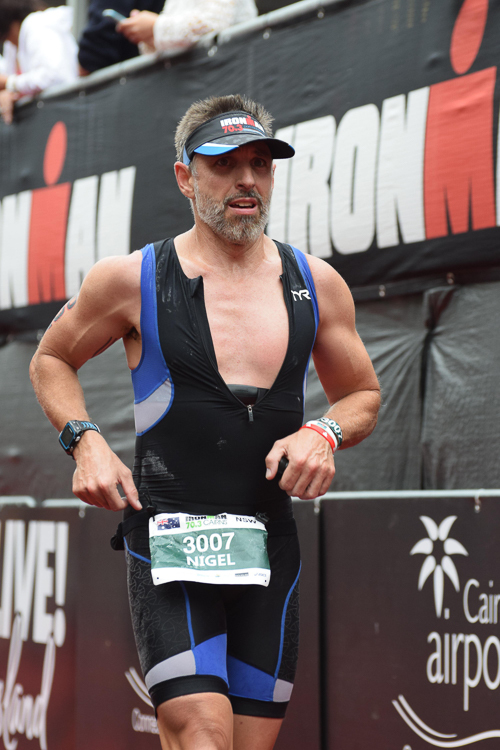 I enjoy competing as an age-group triathlete, exploring my body’s athletic and mental potentials. Otherwise, I immerse myself in family life with my wife and three children, teaching and learning from them about how to best be a healthy contributing member of our society.